Some of these designs can be used as Love Drawings especially during the season of love for the month of February. Check them out and take one pick or choose all of them. 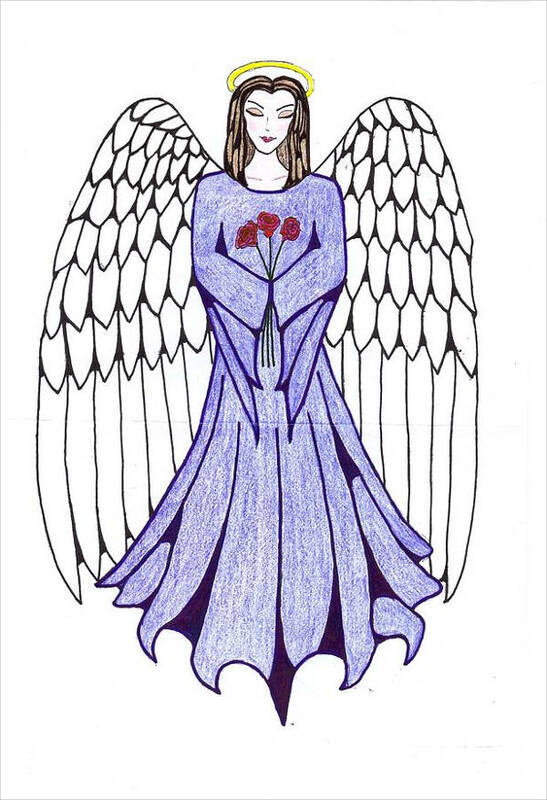 Guardian Angel Drawing. You can start with this angel who has been assigned to watch over us. 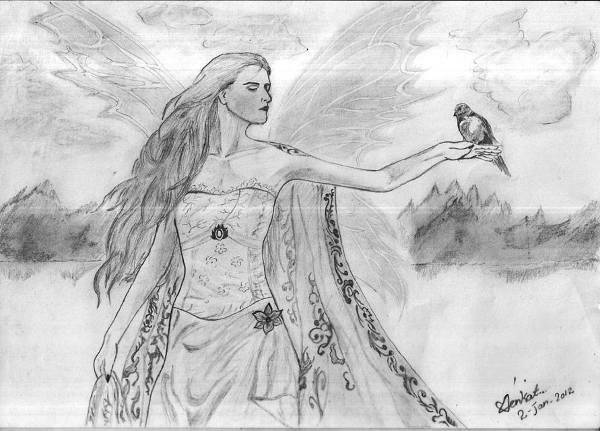 This is just one of the colorful pencil drawings for this series. Pick this one to guide you on your thoughts, your actions, your works, and to keep you away from evil harm. 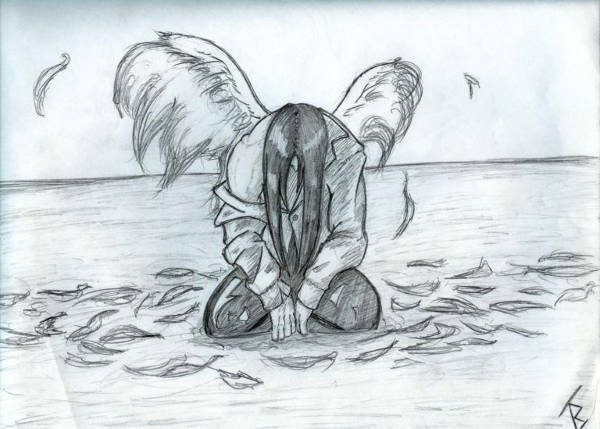 Fallen Angel Drawing. If by chance you are feeling disappointed with the world, take this image of a fallen angel, which shows someone thinking that something is no long as good as what it used to be. There may be times that you recognize this in yourself. Stop feeling like you have been cast out of heaven. Bury the negative with the positive, courtesy of this image. Baby Angel Drawing. 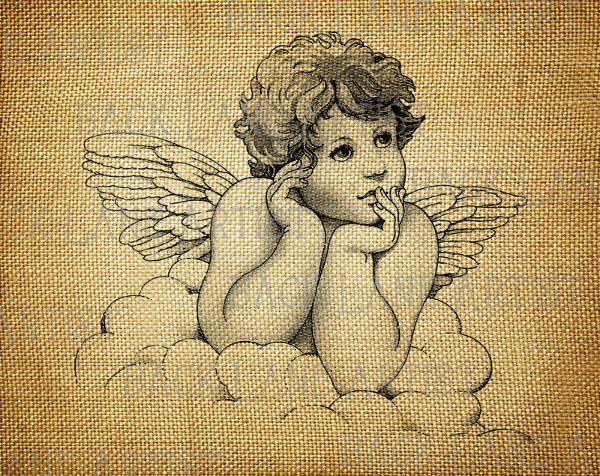 If you’re in a more joyful mood now, have your spirits be lifted more with this baby angel drawing and its a crocheted background. 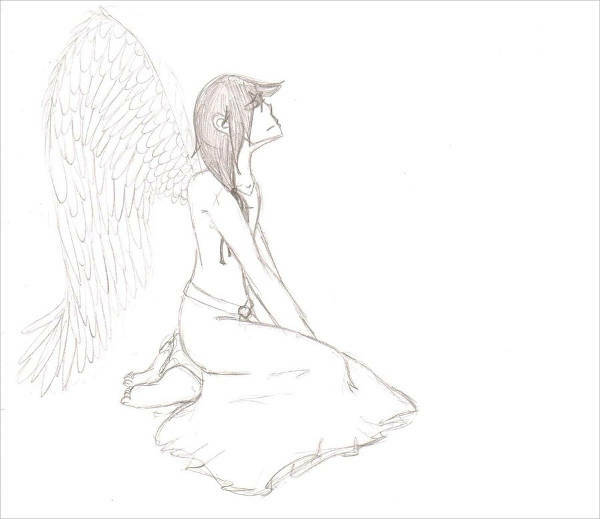 Angel Wings Drawing. 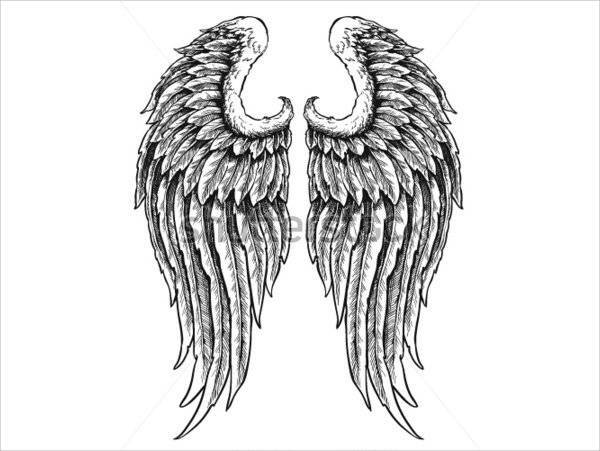 One of the Pencil Drawings in this collection is a set of angel wings. You can use this as a background accessory to a photo or even as a funky tattoo. Compelling visuals grab an audience’s attention and you can use these particular visuals to whip up something more engaging and customize them according to your preferences. These images are heavenly and have only ups and never downs. Decide on a suitable skin art design using the number of images available on this site. 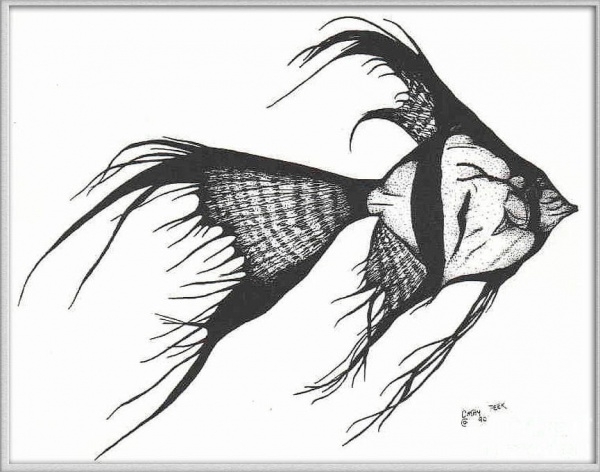 How about going for an angel fish tattoo? This will look awesome in a cute-but-edgy kind of way. 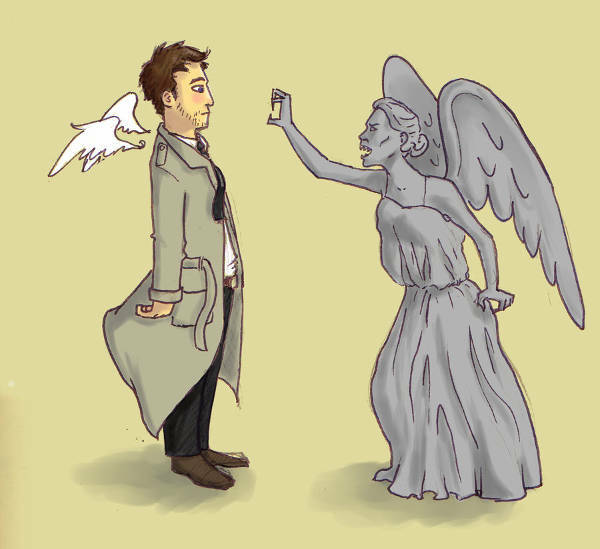 If you’re a fan of the British sci-fi series, then you will remember that episode of Doctor Who and those creepy-looking angels. This artwork will suit you well. Fans of Anime Drawings may also find this appealing. 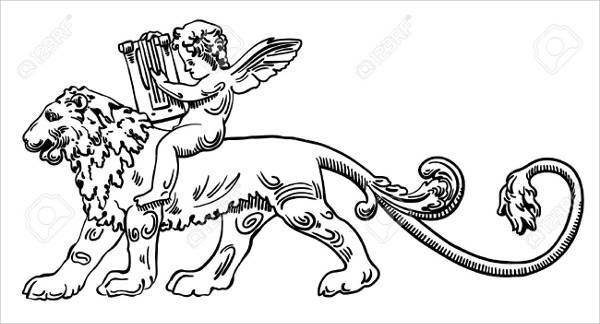 If your taste is more traditional, check out this image of an angel playing the harp while riding a lion. This may bee well-suited as a desktop background due to its simple yet resplendent artwork. These drawings as mentioned will bring a spiritual touch in you. How about you make them a source of inspiration by not just using them as wallpapers but by giving them as a gift to your friends and family. 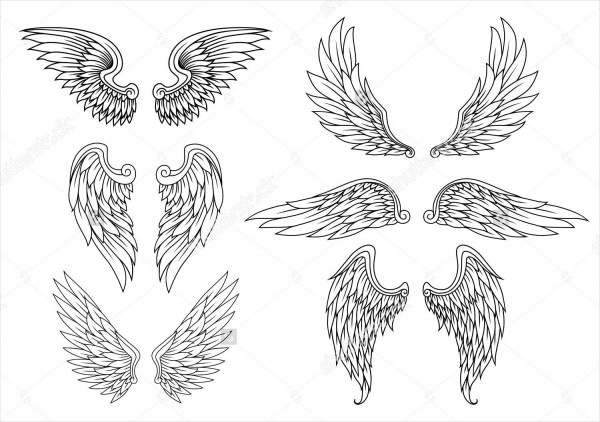 Children will love to learn drawing and these angels could be used as a guide.